Plenty has happened in the five years since Elon Musk first published his white paper on a system he called hyperloop. Since releasing that manifesto to the world, hundreds of people and hundreds of millions of dollars have been put to work, all in the service of bringing Musk's retro-futurist dream of a vacuum tube for people to life. And despite being less than a fever dream half a decade ago, the pace of innovation is notably increasing, with 2018 already including several big announcements regarding its future. There are a handful of companies all competing to be the first to build a fully operational hyperloop. The most notable, and the one that has achieved the most in its relatively short life, is Virgin Hyperloop One. Its biggest accomplishment was using some of the $300 million it raised to build DevLoop, a 500-meter-long testing environment. Situated in the Nevada desert, DevLoop is the proving ground for the company's maglev-and-pump technology as well as its pod design. Because DevLoop is just a 500-meter tube, the company can only run the pod at high speeds for a few seconds before the braking kicks in. Yet despite this, the XP-1 test pod has reached speeds of up to 240 miles per hour, boding well for the future of the technology. Hyperloop One had initially planned to extend the tube much farther, but that plan seems to have been put on hold. Instead, the company will build longer test tubes that will, eventually, form part of the first full line. 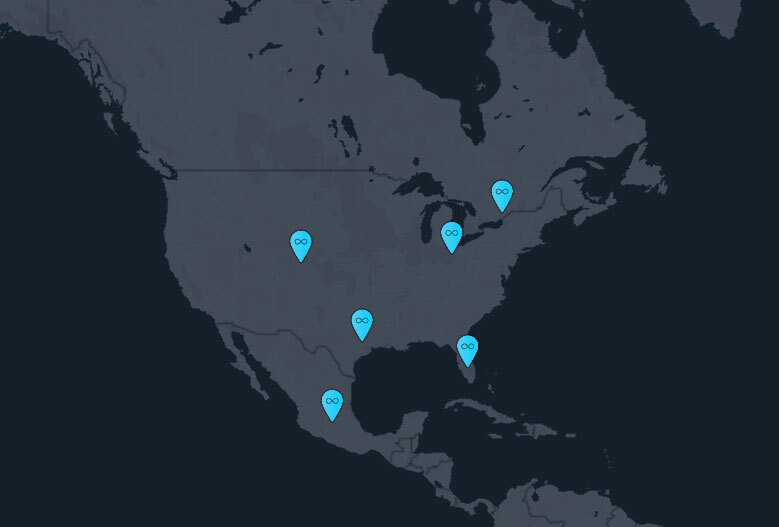 In the US, the company is looking to connect major metro areas in the northeast like Chicago; Columbus, Ohio; and Pittsburgh. In the northwest, a route between Cheyenne, Wyoming, through Denver and down to Pueblo, Colorado, is also being looked at. In the center, a route that would connect Kansas City, Missouri, to St. Louis via Columbia is being examined while further south, a route connecting Dallas, Laredo, Austin and Houston is also under consideration. 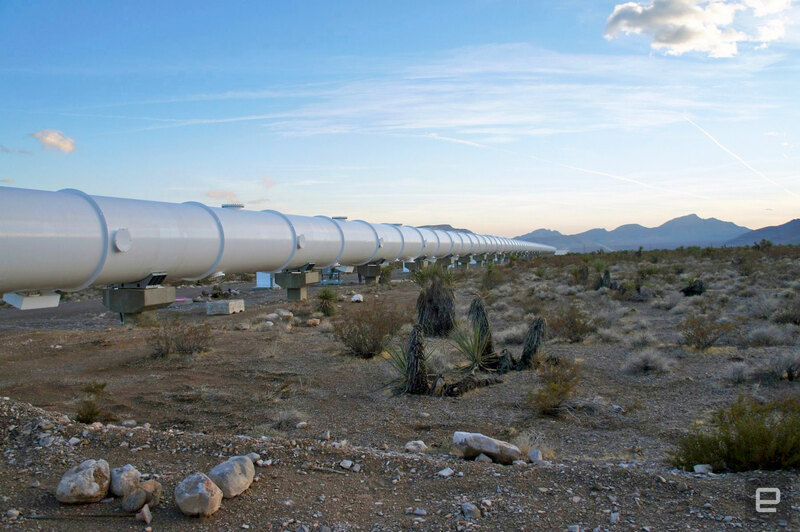 It is likely, however, that the world's first hyperloop will be built outside the US, and India has made a claim to be at the front of the line. Earlier this year, Virgin Hyperloop One signed a deal with the state of Maharashtra to examine if a link between Pune and Mumbai is feasible. Unlike many of the others, however, this deal also includes a commitment to build at least part of a test track along that route. That means there could be a working -- albeit short -- hyperloop in operation by 2021. Around the same time, Virgin Hyperloop One teamed up with Dubai's Road and Transport Authority to show off a concept design for a passenger pod. The design isn't necessarily final as much as a "what if" for the wealthy emirate, with a complement of 19 people per pod. Five will sit in a gold-class section while a further 14 will sit in silver class -- although given that most journeys are expected to be around 20 minutes, are different comfort levels really that necessary? The other big name is Hyperloop Transportation Technologies, a crowdsourced enterprise that harnesses its collaborators in a different way to many other companies. Scientists, engineers, economists and administration staff work for the company in exchange for stock options that will, should HTT become a success, pay off. From a slow start, HTT has now shaken hands on a number of deals to work with local authorities to explore the feasibility of joining cities together. In February, the company signed an agreement with officials in North Ohio and Illinois to look at ways to connect Cleveland and Chicago. This study, under the name Great Lakes Hyperloop, will be completed by the end of 2018, and from there, the business of raising funds to actually build the thing will begin. HTT has also focused its intentions on routes in South Korea, Indonesia and the Czech Republic. Beyond various investigations and proposals, Hyperloop Transportation Technologies has reached several other milestones. At the start of 2017, the French city of Toulouse handed the outfit 3,000 square meters of space in a new innovation park it was building out of what was once Francazal Airport. It appears that HTT won't, at least initially, have to pay for the privilege of using the space, although the details of the deal aren't public. And in March 2017, the company announced that it was building its first passenger capsule, which is expected to be finished in early 2018. The actual construction is being handled by Carbures SA, a company that builds structures for the aerospace industry. The pod itself will be 30 meters long and 2.7 meters in diameter, weighing a staggering 20 tons and capable of supporting up to 40 passengers. The company says that the pod will have a top speed of 760 miles per hour -- the theoretical upper limit for hyperloop transit. Its pod will use Inductrack, a levitation system initially developed by the American government. Inductrack is a form of passive repulsion that was designed by the Lawrence Livermore National Laboratory as a way of making maglev systems cheaper. The principles are simple enough: One object that is magnetically charged can repulse other pieces of metal. So rather than super-cooled, power-hungry electromagnets along the track, the Inductrack tech resides only in the pod. If you're curious how that would work, check out our video exploration of the Hendo Hoverboard, which uses the same principles. There have been missteps, and the company's use of as-yet-unpaid labor raises questions over if it is a functioning business. A couple of PR own goals haven't helped remedy an impression that HTT is, if not amateur, then an amateurish enterprise. For example, at the end of 2016, the outfit revealed that it had raised more than $100 million, except that wasn't technically true. Instead, HTT had pulled in $31.8 million in cash -- no mean feat -- and $77 million worth of "in-kind and land value investments." Of that figure, $26 million were "man-hours and services" while land rights counted for another $22 million. Again, it's a huge achievement to convince people, and governments, to contribute anything of that value to a small company forging ahead in a brand-new industry. But also, there is that faint smell of salesmanship that lingers over all the proceedings. Then there was the news that the carbon-fiber composite that was planned to cover HTT's pods would be called Vibranium -- the same name as the fictional Wakandan rare earth metal that is used by Black Panther and Captain America in Marvel's comics. Now, HTT has managed to successfully register the trademark in the US, both as Vibranium and Vibranium Skin. But we would imagine that, should it ever be used as a selling point, Disney's well-heeled lawyers will have something to say on the matter. Musk's involvement in hyperloop was never meant to be more than pushing the idea out into the world and stepping back. He was, in his own words, too busy with SpaceX and Tesla to become involved with the concept. SpaceX, however, would remain on hand as a neutral arbiter, with its own tube that can be, and is, used for student pod-design competitions. However, Musk's position began to change last year, when he tweeted that he had sought permission to build a link between Washington, D.C., and New York City. The billionaire never clarified who would be in charge of building the project, although it could be presumed that it would be Hyperloop One. After all, the company was founded by his friend and staffed by former SpaceX employees. Plus, it had a few years' head start. 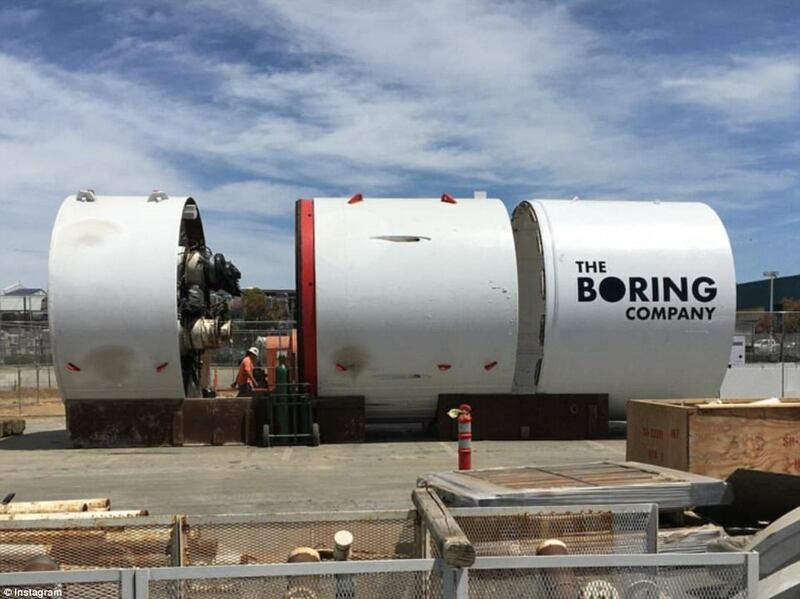 But it appears that the work will actually be undertaken by Musk's third enterprise, The Boring Company, which specializes in tunnel construction. Musk founded the company with the intention of reinventing roads, believing that cars needed to travel in tunnels to avoid traffic congestion. He coined the name "loop" to describe a scenario in which vehicles sit on magnetically levitated sleds and are conveyed through metro areas. The sleds, known as skates, would travel at around 150 miles per hour, aimed at eliminating congestion in cities like Musk's home of Los Angeles. As for Musk's own hyperloop, the company is now working with federal and state officials on a route from D.C. to Baltimore that could then be extended to New York. Both Washington, D.C., itself and the State of Maryland have offered permission for exploratory digging to commence. In the former, the company is allowed to prod the soil at 53 New York Avenue NE, while in Baltimore, Musk is allowed to dig 10.1 miles of tunnel beneath the state-owned portion of the Baltimore-Washington Parkway. At the time, we pointed out that Musk's renewed involvement poses something of an existential threat to the other hyperloop startups. After all, Musk has the financial, political and technical clout to disrupt the other entrants in the space. That's not to mention that SpaceX holds the trademarks to the hyperloop name and can force rivals to stop using the brand should it wish. However, in a statement to Bloomberg, a representative of The Boring Company said that it would only do so if the company wasn't being "truthful." Whatever that means. 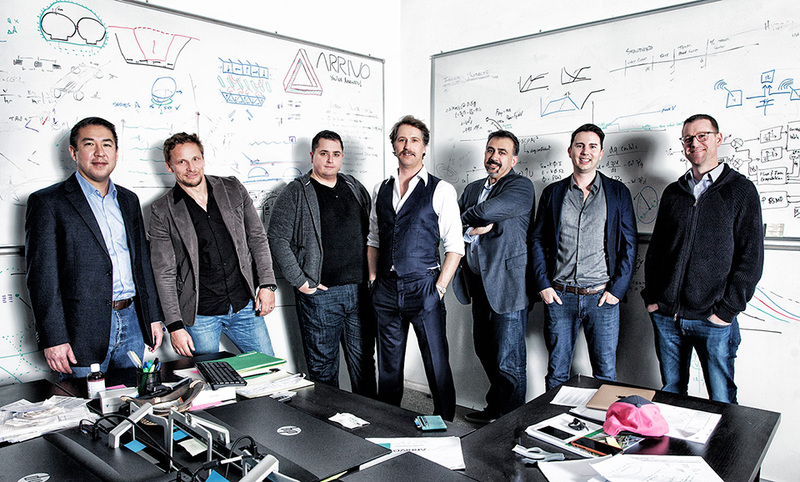 If there's such a thing as hyperloop purists, then they're probably flipping their desk at the mention of Arrivo. After all, the company isn't proposing to put folks inside vacuum tubes and fire them across the country at high speeds. It's not even proposing to build a city-to-city network that would dramatically reduce the need for short-haul air travel. Instead, Arrivo's plan is to use tubes at normal pressure, coupled with maglev sleds, to carry cars and trucks from one end of a city to the other. It's a hybrid of the original hyperloop concept and Musk's plans to reduce traffic congestion in LA, albeit with a different implementation. The tubes would sit in the median strip of a highway, with cars entering and departing at designated entry and exit points. Once inside, cars would sit on a levitating sled that would travel at speeds up to 200 miles per hour from point to point. Passenger pods could also use the system to get from A to B, and in the future, the pods themselves would be self-driving taxis. Right now, Arrivo has signed a deal with Colorado's Department of Transportation to explore ways to solve Denver's congestion problems. Cars could avoid clogging up the arteries of the city to get from one end to the other by using the tubes. If implemented, the current journey time between the airport and downtown or Boulder and downtown Denver would be cut by up to 50 minutes. Arrivo's notable not only because of the system it is developing but also because of the people who are working to develop it. Brogan BamBrogan, David Pendergast, William Mulholland and Knut Sauer are all listed as co-founders of the enterprise. The quartet make up the "gang of four" that previously held senior positions at Hyperloop One, now rechristened Virgin Hyperloop One. Hyperloop One co-founder Brogan quit the company in July 2016, sending shockwaves through the hyperloop community. It subsequently emerged that he was suing the company he helped found for harassment and financial mismanagement. A falling-out with legal council Afshin Pishevar culminated in an alleged death threat: Pishevar (allegedly) draping a knotted rope on the back of Brogan's chair. Lawsuit and countersuit followed, with Hyperloop One contending that Brogan and his accomplices had "tried to stage a coup." By November of that year, the various hostilities had been settled, with the quartet free to build their own vision of what a hyperloop is, or could be. The company plans to begin construction on a test track in Commerce City, Colorado, at some point this year. The half-mile facility will cost up to $15 million and will be used to identify the fastest, and cheapest, ways to build the magnetic sleds. But there are plenty of questions about how effective Arrivo's plan will be. For instance, most tube-transit systems, like the London Underground, have issues with trains pushing pockets of air through the tunnels. How will Arrivo reduce the issue of all of this air zooming around without creating a vacuum or making the tube significantly larger? There's also the question of whether it's right that the city should go out of its way to spend big to further subsidize carbon-intensive car travel rather than spending the same money on public transportation. Also, what happens if Arrivo's system is so popular that it, in turn, becomes the victim of a capacity crunch? Beside these major players, there are also other people and groups working on their own hyperloops, from TransPod in Canada to all the academic pod-design teams. All are looking to solve the technological and economic arguments that stand between us and high-speed transit. There is no guarantee that such a system will ever materialize, of course, between tight-fisted legislators and angry locals protesting where the routes will be built. But to think that all of this has been achieved in just five years is heartening. Vacuum-tube systems are nothing new, and we had working versions of the system in operation a century ago. But for a variety of technical, political and economic reasons, those attempts all failed before they could become adopted by the mainstream. Hyperloop One, with its working test track, has at least demonstrated that modern-day engineering can do what Isambard Kingdom Brunel couldn't in 1848. What comes next, however, is far more difficult: whipping up enough public desire to see these systems built and working out who should shoulder the cost to do so.